These videos are provided as a reference. They do not represent official policies or rules and cannot be used to justify actions to tournament officials. Please read the Season Standards Manual and Challenge Documents for official rules at events. The kickoff flyer and slide decks are provided as a reference. They do not represent official policies or rules and cannot be used to justify actions to tournament officials. Please read the Season Standards Manual and Challenge Documents for official rules at events. The page below is preserved for those interested in the details of the 2016 kickoff. If you would like to see recordings or notes from the kickoff, please use the tabs above to navigate. Central Valley Robotics formally invites all Central Valley FIRST LEGO League and FIRST LEGO League Jr. teams to join us for the 2016 Central Valley Kickoff on September 3rd, 2016 at Alta Sierra Intermediate. Prior to the keynote in the morning will be networking opportunities for new and veteran coaches. The festivities officially start at 8:30 AM with the keynote from the CVR Director, Michael Adam. Following the Keynote will be three 50-minute training sessions for coaches to attend. (See below for details on the sessions). Starting at 12PM there will be a lunch networking break with a food truck on site. Finally, at 1:30pm CVR will host the Buchanan High School Robotics Team’s annual robot game demonstration, “FIRST LEGO League in Five Days”, where their members will demonstrate some solutions they came up with for this year’s season. For lunch and the afternoon competition, we welcome parents and student members to join us! We recommend every team send two attendees to attend all of the concurrent sessions. Annual Kickoff Event to learn about the 2016 FIRST LEGO League and FIRST LEGO League Jr. Seasons in the Central Valley. Coaches can attend sessions on a variety of topics to help them this season. See below for more information. 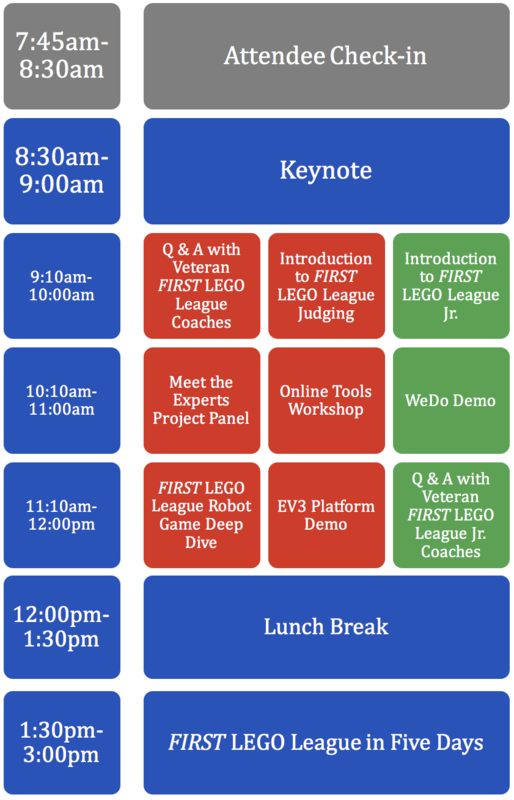 The day is broken up into three parts: the group keynote, the break-out training sessions, and Buchanan’s “FIRST LEGO League in Five Days” event. (This is an optional session). In this session, CVR will introduce FIRST LEGO League and FIRST LEGO League Jr. to new teams and coaches. We will cover the basics of the program and what to expect throughout the season. The opening keynote will be hosted by Michael Adam, Director of Central Valley Robotics. He will discuss the changes to the FIRST LEGO League and FIRST LEGO League Jr. programs in the Central California Area, the updated tournament registration process and policies, and other regional changes. New or inexperienced coaches are invited to come and ask questions to a panel of veteran coaches. These folks have been through everything you’re about to go through and this is the best place to ask for their advice and insight from seasons past. Join our judging team as they introduce the judging and deliberation process at our events. This session is geared for new coaches and will cover the basics of FIRST LEGO League judging. Session 3: Intro to FIRST LEGO League Jr.
Come learn about the 2016 FIRST LEGO League Jr. season, and the exciting new changes that will make coaching a walk in the park. 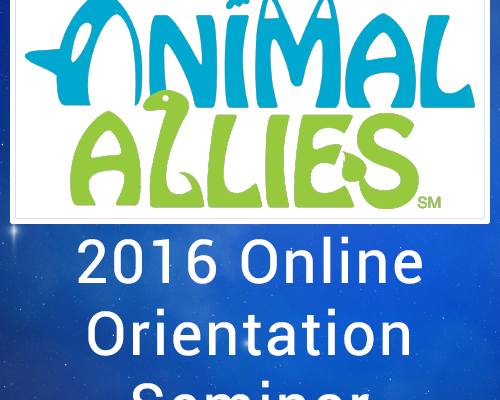 Join our judging team as they facilitate a question and answer forum with industry experts from fields relating to the ANIMAL ALLIES problem. Make connections with experts that will allow your team to share their innovative solutions. Join our technology team as they demo all of the online tools available to teams this season. This includes the CVR website, TeamConnect, firstlegoleague.org and more. Come watch as Bricks 4 Kidz demonstrates how to operate and program in WeDo. We will be going in-depth into the rules, missions, and robot game updates. We will discuss the Robot Game procedure and what to expect at events. Bricks 4 Kidz will provide an overview of programming using the LEGO MINDSTORMS EV3 software. Coaches will have a chance to get their feet wet before introducing the software to their teams. During the lunch period we will have LoCAvoria, a local vendor that will donate a portion of the proceeds to CVR, out to serve lunch. Also, we are bringing back the “FRC Row” where local FIRST Robotics Competition teams will be out demonstrating their robots, promoting their brands, and offering support for FIRST LEGO League and FIRST LEGO League Jr. coaches. CVR is hosting the Buchanan High School Robotics Team’s “FIRST LEGO League in Five Days” tournament, where they will demonstrate some solutions that they came up with for this year’s season. They will also be holding a question and answer session right after their demonstration. We welcome parent and students to join us for lunch and the afternoon mock competition. Kickin Chicken Chorizo Quesadilla: All chicken chorizo sausage, chopped, grilled chicken thigh, melted Mexican cheese blend, sweet corn salsa, avocado-sour cream, cotija cheese, lime on grilled pita. Hog Heaven Pork Belly Wrap: Crispy grilled pork belly and shoulder, ginger carrot coleslaw, plum hoisin sauce, Sriracha aioli, on warm pita. Barnyard BLT Burger: 1/4 lb all beef patty, thick cut applewood bacon, melted cheddar jack cheese, KMK Farm’s organic romaine lettuce, T&D Willey Farm’s tomato, garlic aioli on a toasted pita. Olive, Peas & Chicken Greece Wrap: Sliced, grilled chicken breast, olive-chickpea hummus, curry yogurt sauce, organic romaine lettuce, Stella Luna Farm’s cherry tomatoes, Greek feta, on warm and toasty pita. Combo: Try any one of the sandwiches on the menu + a bag of chips -or- a side of cold pesto macaroni salad + a drink for only $10! Drinks: Sweet Iced Tea, Unsweetened Iced Tea, Martinelli’s Apple Cider, or Water. Archived / Previous Season Resources, FIRST LEGO League Jr.